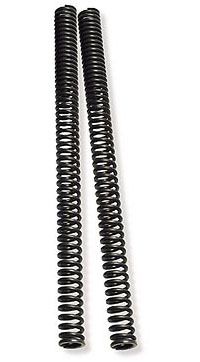 Assembled with high-shock, heavy-duty single filament 20Watt quartz halogen bulbs. 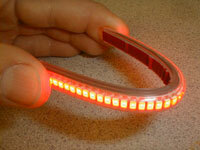 We recommend them for use as auxiliary driving lights to help riders see & be seen. Halogen Style Includes Clear Lenses Only. 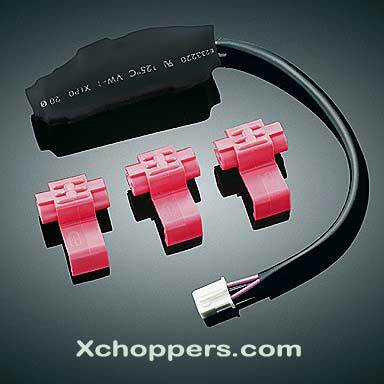 Install in rear fender mounting hole on Honda VTX's using KY-2289 adapters from Xchoppers. 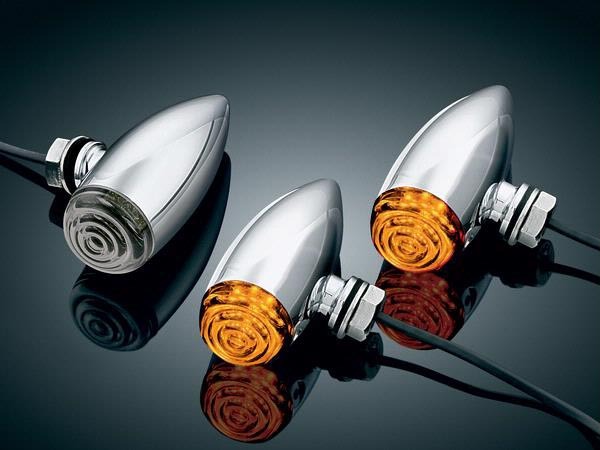 Kuryakyn Silver Bullets are the hottest looking, best performing accessory lights available. 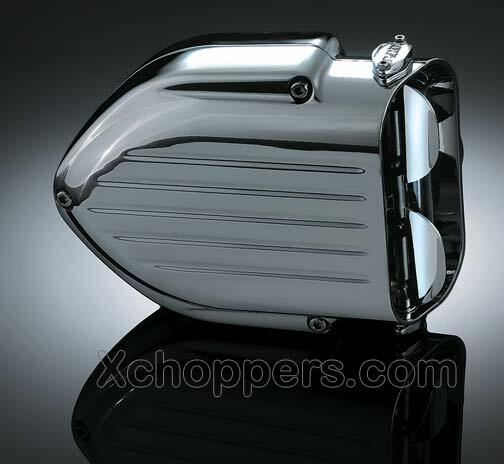 Either as an add on or as a replacement for existing lights, their sleek design, compact size and flawless chrome finish are a sharp addition to virtually any motorcycle. Universal kits allow you to be the designer and place them wherever your imagination and ingenuity permit. 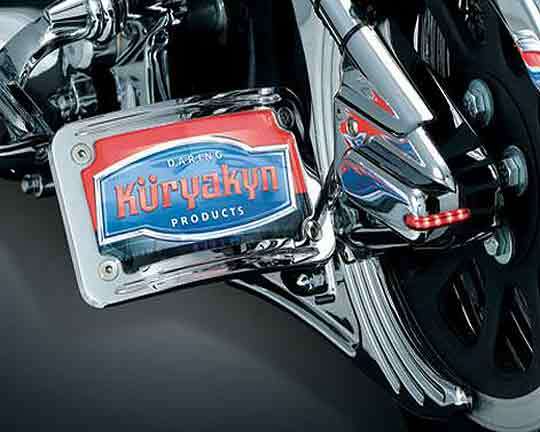 Silver Bullets are available in small (2-7/8" x 1-5/8") or large (4" x 2-5/16") sizes, and come with high shock, heavy duty 35 watt SINGLE FILAMENT quartz halogen bulbs - a Kuryakyn exclusive! Silver Bullet kits for the front of the motorcycle include clear lenses for use as driving lights. 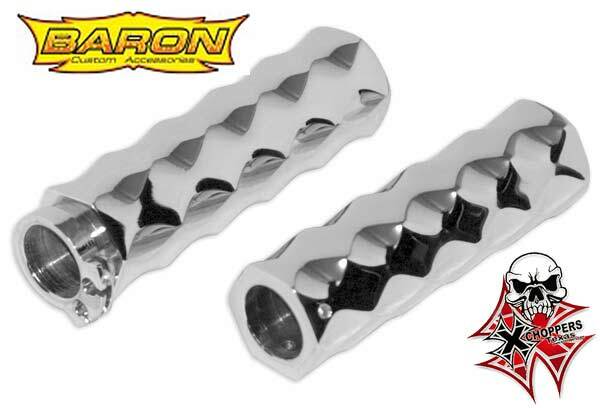 Order Ky-2342 small halogen silver bullet Red lenses if you want to use them as rear running / signals or KY-2342 small halogen silver bullet Amber lenses for use as signals only. (Note: Not DOT approved). Very Important! 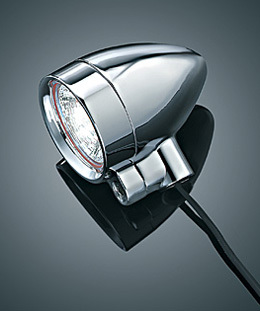 Silver Bullets have single filament bulbs which function as running lights or turn signals. With the addition of our Run-Turn Controller, KY-4710 for Metrics, it is possible for Silver Bullets used in front applications to function as both running lights and turn signals. 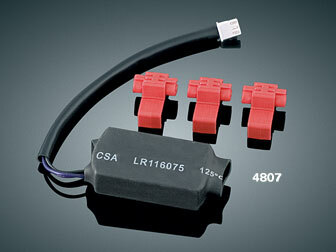 Note: There is no need to use a Load Equalizer with Halogen Silver Bullet kits. Wiring exits the light through 3/8" dia. hollow mounting bolt for a hidden wire installation. Note: Not D.O.T. 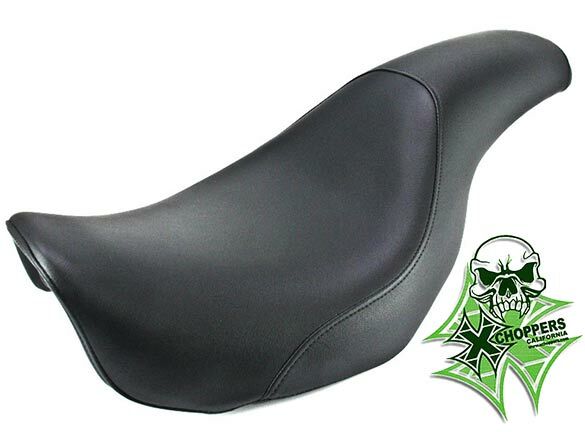 approved for use as sole turn indicators.